The minister further added that the issue of spectrum harmonisation will also take place soon. The government on Saturday said that the mechanism for auction and guidelines for telecom spectrum trading and sharing will be in place by the end of the year. In a press conference marking the first 100 days of the government, Ravi Shankar Prasad, minister of law, IT and telecommunications, said, “For spectrum trading and sharing, Trai recommendations have come to the department. I have told the department to prepare guidelines by the end of the year with few key objectives in mind. It should be fair and objective… Mechanism for spectrum auction is also being worked out. It should be there by the end of the year or at best, by the end of the financial year”. On July 21 this year, the Telecom Regulatory Authority of India (Trai) had recommended sharing of spectrum in the bands of 800 MHz, 900 MHz, 1800 MHz, 2100 MHz, 2300 MHz and 2500 MHz provided that both the licencees are having spectrum in the same band. It had suggested that even spectrum allocated at the old price of Rs 1,658 crore or assigned without auction should also be included in it so that companies could significantly reduce cost of providing mobile services. Currently, telecom operators have been allocated radiowave frequencies in 800 MHz (CDMA); 900 MHz, 1800 MHz, 2100 MHz (GSM 2G/3G); 2300 MHz and 2500 MHz (4G) for wireless telecom services. While operators are allowed to share passive infrastructure like mobile towers, which has helped them in reducing operational cost, they are not allowed to share active infrastructure like spectrum. The minister further added that the issue of spectrum harmonisation will also take place soon. 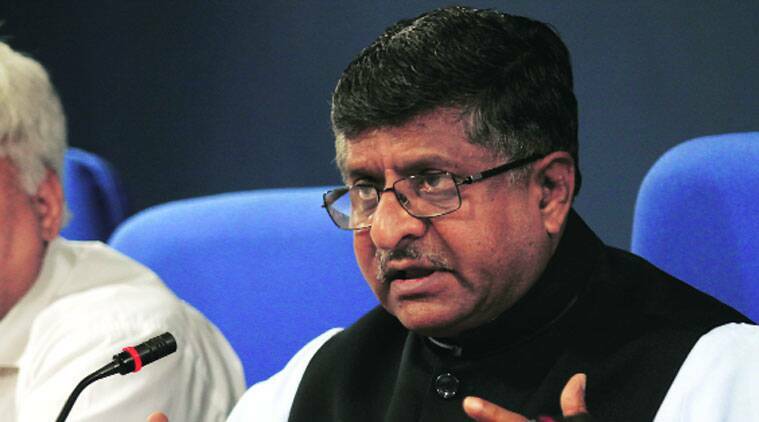 Further, in a bid to safeguard the country’s servers from cyber attacks, Prasad said that the government has decided to set up National Cyber Co-ordination Centre (NCCC) to monitor web traffic and ensure security of the e-governance initiatives of the government. “We are investing Rs 800 crore for this project and inter-ministerial consultations are on,” Prasad said. He added that the department will also be setting up an e-governance security centre at the cost of Rs 270 crore to secure the government’s e-initiatives. NEW DELHI: Telecom and IT minister Ravi Shankar Prasad said that while the government will ensure that the Section 66A of the IT Act, that led to arrest of people for posting comments on social media sites, is not “abused”, the Constitution permits it to take steps for ensuring public order and security.